There's a contradiction at the heart of the expanding Star Wars universe. Let's call it Jedi Inflation. On the one hand, we have the movies, which are governed by the idea that the Jedi are wiped out. Indeed, in A New Hope, both Tarkin and Obiwan call the Jedi "extinct" and "all but extinct". This sad fact intensifies the drama of Luke Skywalker's emergence. He is, as Yoda calls him in Return of the Jedi, "the last of the Jedi". This is central to the story. Everything depends on Luke because without him, the flame of the Jedi is forever extinguished. On the other hand, there are the licensed games like Imperial Assault or the excellent TV show, Star Wars Rebels (all of which are overseen by the same "story group" at Disney and follow basic rules of canonicity). They portray roughly the same time period as the original trilogy of movies. And yet in them, other Jedi have survived to battle the Empire. 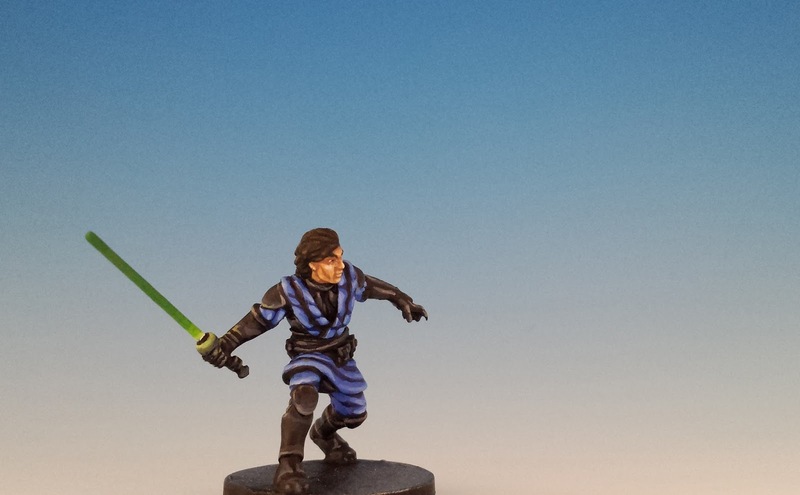 So we have Kanan Jarrus, Ezra Bridger and Ahsoka Tano (in Rebels) or Diala Passil and Davith Elso (in Imperial Assault). These Jedi are not hidden away: the Rebels Alliance is aware of them, and so are the Imperial authorities. They are part of the Rebellion. And they leave me with the impression that the galaxy is crawling with Jedi. I don't see this tension being resolved any time soon. The Force Awakens continues the story of the Jedi as a vanished tradition. That movie suggests that Luke alone attempted to rebuild the Jedi Order, and when that ended in tragedy and Luke disappeared, all trace of the Jedi seemed to vanish with him. 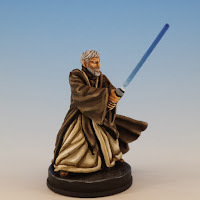 What happened to characters like Ezra (or less official ones, like Davith from Imperial Assault) is unclear. The reasons for Jedi inflation are so obvious that they barely need to be stated. Jedi fascinate us. They virtually define the Star Wars universe. Fans want to identify with Jedi heroes, and since there isn't enough Skywalker to go around, new characters must be invented. But, at the same time, their expanding number dilutes precisely the thing that makes the Jedi into the Jedi. They are rare, special and exclusive. 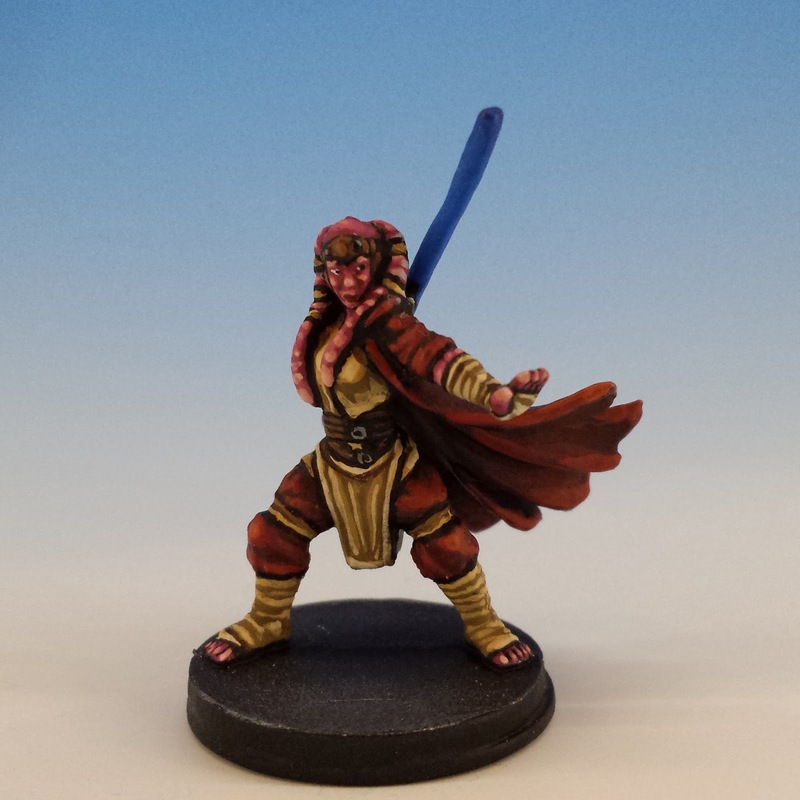 But it's not mere rarity that makes the Jedi so gripping. More importantly, the Jedi are living anachronisms. Obiwan, Luke and even Vader are relics from a vanished age. Their clothes, manners, and beliefs are out of place in the contemporary world and hearken back to a dim past: A past when swords were used instead of blasters, and when magic was more powerful than technology. To meet a Jedi is truly to meet a species that was supposed to have gone extinct a long time ago. This sense that they're lost, even in their own fantasy world, is what gives the Jedi a grip on our imagination. Portraying too many Jedi breaks that spell of anachronism. Indeed, I think that's one of the reasons why the Prequel Trilogy fell flat on its face -- it never found a way to construct a universe that both multiplied the number of the Jedi and maintained their aura of being out-of-place and out-of-time. It seems that the current Star Wars canon tries to square this circle by an adroit act of doublethink. It pretends that there is simply no contradiction between the solitary Jedi of the movies versus the Jedi inflation in other media. It's not a terrible approach -- at least it helps to preserve the impression in the movies that the Jedi are a vanished and legendary tradition (certainly, The Force Awakens emphasized this point over and over again -- for instance, by communicating early that Rey and Finn barely believe in the Jedi). But at the same time, we still get lots of interesting if peripheral Jedi characters in shows, games and novels. Jedi inflation? There's no Jedi inflation. These are not the droids you're looking for. But doublethink isn't a sustainable practice. Sooner or later, the cognitive dissonance will drive you crazy. In the case of Star Wars, a failure to resolve this tension threatens to divide the Star Wars universe in two -- a cinematic half, where Luke Skywalker was the last bearer of the Jedi's flame -- and a fan-friendly half, where plucky Jedi survivors fight the good fight, but never meet up with Luke. My own view is that a little bit of Jedi inflation is a good thing. It helps to balance another central tension within the Star Wars universe -- the tension between Star Wars as a vast, open-ended story, filled with hundreds or thousands of vibrant characters -- and, on the other hand, Star Wars as a claustrophobic family drama, where the Skywalkers are messianic figures and their story is at the center of the entire galaxy. By throwing in a few other Jedi, the fans are reminded that the Star Wars universe is too big for anyone to fully comprehend. Even Yoda can err, like when he called Luke the last of the Jedi. - Why did Obi-wan hesitate before allowing Vader to strike him down? A handful of jedi survivors in a galaxy with a population measured in the hundreds of quintillions is, I think, both reasonable and to be expected. To say that " And they leave me with the impression that the galaxy is crawling with Jedi" because there are 5 remaining jedi (plus Obi and Yoda) is a stretch. Fantastic Jedi travel with great painted minis! I haven't finished watching Rebels S2 however I do believe there are casualties. Having said that, Rebels happens before ANH so it's totally possible that whole crew (and their Jedis) get wiped out. It will be really interesting to see where Rebels takes us. For my own part, I will be surprised if they kill off all the Jedis. It would be a particularly dark ending for a show aimed at both adults and kids. Obi-Wan tells Luke that Vader helped the Empire hunt down and destroy the Jedi Knights. I think we are still seeing that happening in Star Wars Rebels. Obi-Wan and Yoda might indeed be the only ones left alive that we know about by the time the timeline catches up to A New Hope. Personally, I'm not a huge fan of the Jedi. That being said, I can see a handful slipping through the cracks of the Imperial machine over the years. I'm pretty sure most of the force using cast of Rebels will no longer be with us once they reach the Battle of Yavin timeline. What really disappoints me in Imperial Assault (in Skirmish mode), is that there are so many force users available to Rebel players. But very few available to the Imperial players (Emperors hand, anyone?) and none to the Mercenaries (at least give us Zuckuss). Like you, I am dying to see Imperial Assault release Zuckuss (and 4-LOM) so that the canonical bounty hunters are all represented. I wonder about the Emperor. I suspect that they will eventually release him. But it will be a little odd seeing him deployed like a squad of Storm Troopers in a skirmish game. It seems beneath his dignity. I was so engaged in your thoughts and writings on Jedi inflation, which are fascinating, that I skipped over your models. The second time of looking I skipped the words and just looked at your wonderful painting! There's just too much amazing on this blog entry to do both at once! I really can't tell you how chuffed I was after reading this comment. Your paintjobs are exquisite Sully really. I must admit to disliking all things 'wars besides the OG trilogy. To be honest even return kind of stunk. I digress. I am in complete agreement regarding the allure of Jedi mysticism, The question on everyone's mind in a new hope is what is a Jedi? Sadly Disney realizes all too well that it is the Jedi which keep us coming back for more, it only makes sense they would be exploited with saturation in order to increase profits. You are a true purist when it comes to Star Wars, 24_C! It makes you strong in the force. An "out-of-universe" explanation would be that Jedi and the Force are what make Star Wars stand out from other science fiction which has, in the decades since the Holy Trilogy, adopted a lot of the tropes that SW kicked off to begin with. Sure, Stormtroopers and the Death Star are distinctive designs too... but all it takes for most people to think "Star Wars" is the sound of a lightsaber. That's a very interesting observation, and I think quite right. I'm going to mull that one over for a while. Very well crafted and poignant essay, there are several problems with the jedi continuity, most of them made worse by the prequels. when obi wan speaks of the jedi in ANH, he sort of gives the notion that they were already dwindling before the empire took over. I never got this feeling from the prequels. In them, the Jedi were omnipresent and powerful, also very well known in every place they go. If the Jedi were ever as powerful as depicted in the prequels, then culturally they would be much harder to remove from the landscape, and their role in society harder to make go away. I always thought time was very poorly managed in the implementation of the prequels, and that the jump from Anakin to Vader was way too short. After all, Luke is not yet 20 in ANH so it’s hard to swallow that the Jedi and the republic were just swept under a rock and completely forgotten (I’ll be my own critic by saying: most the interaction we see in ANH and the original trilogy are with brainwashed/fascist empire leaders and drones, and the rebellion, which embraces the “return of the Jedi” as prelude to the return of more republican values… we get very little from anybody else in the original films…except maybe for jabba who mocks Luke for trying to be a Jedi…). oh BTW, the minis are Awesome! Thanks for this extremely thoughtful and well-informed comment, RG. And I also think that you're quite right that there's a difference between Jedi and force users more generally. I suspect that the true meaning of this difference will be explored more in the coming movies (and in the 3rd season of Rebels). I'm excited to see where they will take this.